Leading by example and open communication are seen as vital skills for leaders to have. The attribute people are looking for most is leading by example. It has taken the top spot for the past three years, and featured in the top three in 2012 and 2013. Open communication is also seen as a vital skill for leaders. 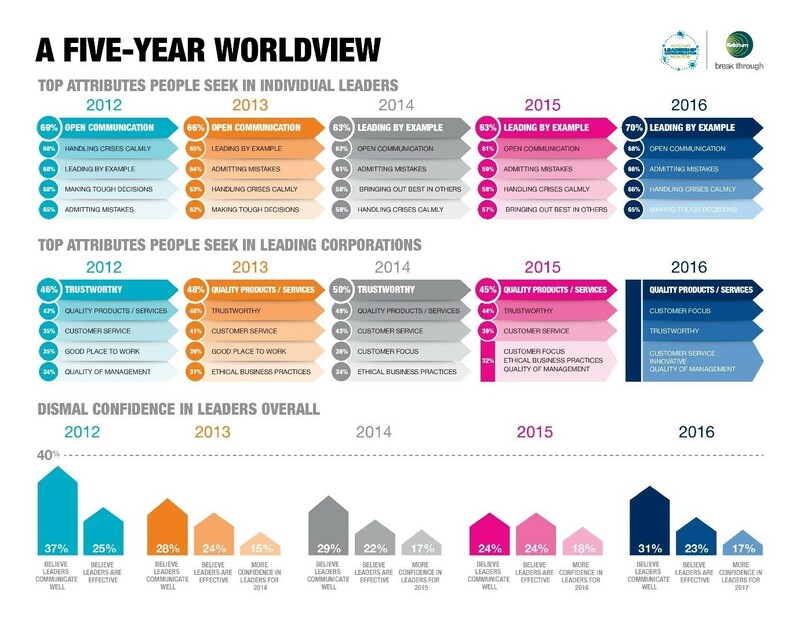 It topped the list in 2012 and 2013, and this year came second with over two-thirds of respondents saying they look for it in a leader. Just one in four people think leaders are effective overall, and the majority don’t see their leaders as effective communicators. And they don’t think the situation is going to improve either. Just 17% of people feel confident that their leaders will perform better in 2017. The report suggests a number of lessons to become a better leader. - Leaders should set clear expectations. They shouldn’t say things that they’ll go back on later. - Leaders should embrace transparency, through listening and understanding. - They should set out a clear vision – one that acknowledges mistakes and strives for improvements. - They should encourage leadership at every level of the organisation. - Leaders must make sure they embrace and actively promote diversity and equality. Which degree will make you a better leader?